Start Goal Setting Right Now In 5 Simple Steps! Here I present goal setting: 5 simple steps. If you follow these steps consistently the results will be clear. Although very simple sounding, if you simply carry them out you are sure to make great progress in the direction of your choosing. 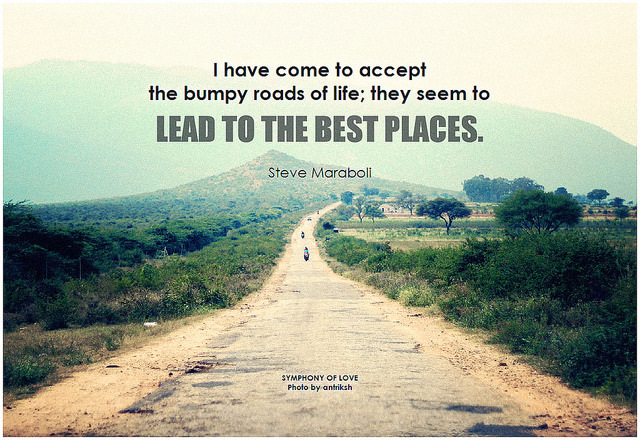 Where is your bumpy road taking you to? Have you decided yet? If you haven't already, take the leap and write what you want on paper. It doesn't matter if your goals are HUGE or tiny. Even writing down a single goal; something specific you want to achieve or do and when you'd like it to happen by is a good start. You have to be brave and just do it! You can use these free worksheets to help you write your goals down. Look at your goal. As you glance at it see if you can think of some actions which you can take pretty much right away. Something which springs to mind which would be easy to do but also a step in the right direction? Whatever it may be. Do it this week. Perhaps even do it today if that is viable. It may be a one-off action or it may be the kind of action that doing regularly will help you reach your goal. No magic is required for you to reach your goal. It begins and ends with small actions. While beginning to take action you may begin to think that the goal isn't quite right. Maybe it's just too difficult. Or it's way too easy. It's all good! Be flexible. Adjust your goals as many times as you feel like until you get that "just right" feel. To have a more thorough read around monitoring check out this page. 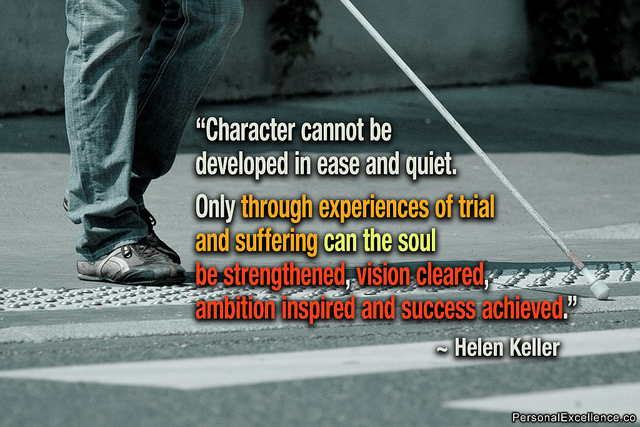 How important is the development of your character to you in life? Once the goal date is reached, whether you achieve the goal or not, reflect, write down a lesson learnt. How motivating was the goal? Did you feel a motivating force rise up in you? Did you achieve more with the goal than before the goal? Were there any unforeseen problems? Any creative solution you can come up with? Did you learn something about yourself? Either positive or something to determine to improve? Did you set too many goals? too few? Did it put too much pressure on you? I.e. do you need to give yourself more time and a lower target in the future? As long as you don't forget your dreams... As long as they are written down somewhere... As long as your lessons are recorded for next time... You can take a nice break completely guilt free! ...and then, a little wiser than before, make a fresh start in the direction you choose once more. 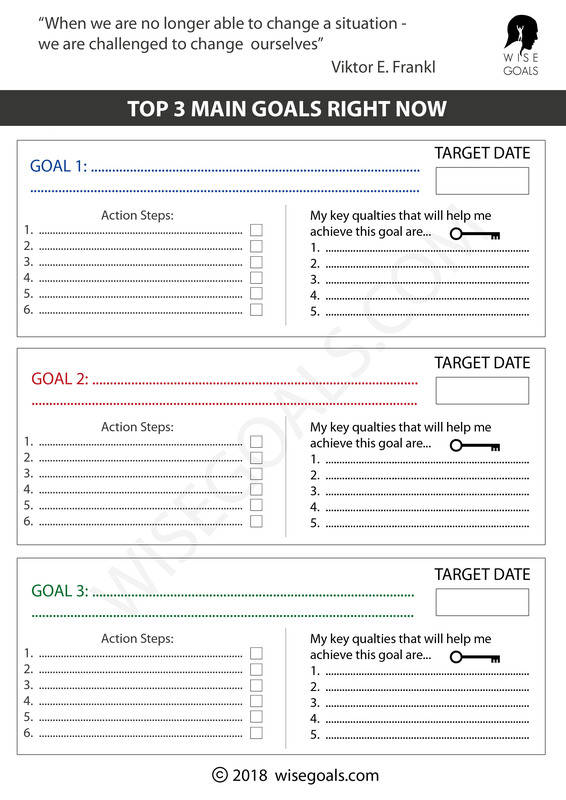 These 5 simple steps to goal setting is a victory cycle. Each time you go through it you become better at setting goals. Because you know yourself better, and you know the dynamics of motivation better. Ultimately you'll be one step closer to gaining mastery over the greatest enemy... your self! Steve Maraboli quote by BK. Attribution-ShareAlike 2.0 Generic. How character is developed by Celestine Chua. Attribution 2.0 Generic.